Looking "where to sell my BMW 502?" Ask the Chicago Car Club! Are you wondering "where to sell my BMW 502 ?" 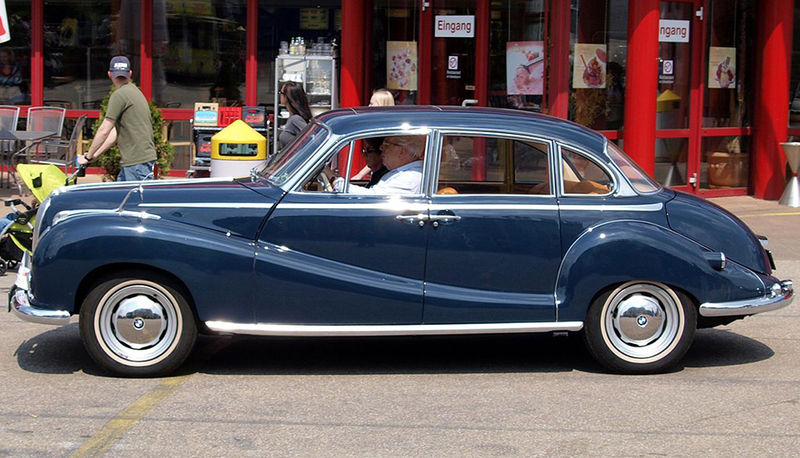 The Chicago Car Club is interested in classic cars of all makes and models, especially a BMW 502. We make the process of selling your BMW 502 quick and painless. In just a matter of hours we will have your classic valued and, if you do so choose, turned into money in your pocket. All it takes is a phone call or electronic inquiry to get the ball rolling. The 502 was an 8 cylinder version of the 501, by German automaker BMW, made after WW2. It was Germany’s first postwar 8 cylinder. However, the factory was in Eisenach, which became part of Soviet occupied East Germany. The BMW company no longer had control of the factory or the designs and the car was Soviet built. For many years, the use of the BMW name and logo was simply cosmetic. Its use was actually a copyright infringement. The 501 and 502 cars, which were built by Soviet automaker Autovelo, we quite beautiful and they were called the “Baroque Angels” by the German people. It was a large car with a luxurious interior. One entered through opposite opening doors, with suicide doors in the back. The cars were so large that they were often converted to limousines or hearses. The front suspension utilized an A-arm with torsion bar springs, and a live axle with torsion bar springs at the rear, which made for a comfortable ride. The 501 and 502 were quite heavy though. They weighed 1,430 kilograms (3,150 lb.) which was actually too large for the 501’s 6 cylinder engine. The 501’s top speed of 135 km/h (84 mph) and acceleration to 100km/h (62mph) taking 27 seconds was very poor performance, compared to competitors such as Mercedes. So a second version, the 502 was developed, which featured a stronger 8 cylinder motor. This was the first 8 cylinder car for postwar Germany. The 502 was also distinguished from the 501 by a more lavish interior with individual front seats and additional fog lights. The initial price of the car was DM17,800, which was a hefty sum for the day. This resulted in poor sales. Only 190 were ever produced.